Tower Hill Botanic Garden in Boylston is one of my favorite places to spend an afternoon. Its’ beautiful gardens and wide vistas are enthralling. 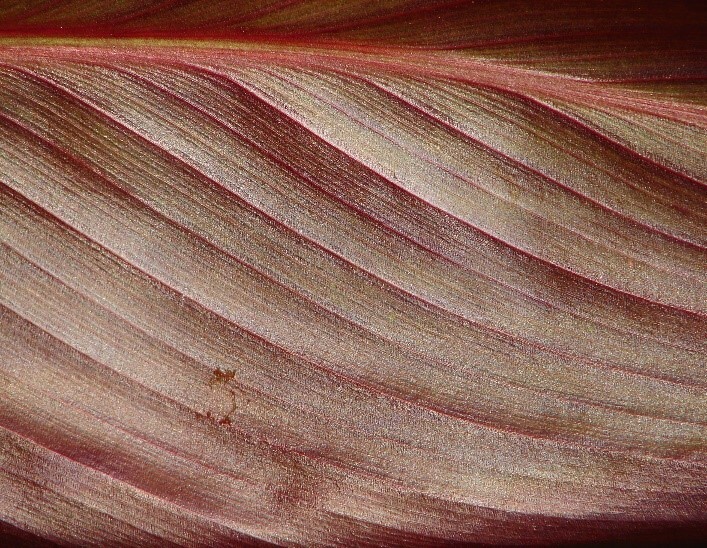 It is a place I indulge my passion for nature photography especially macro (close up) pictures of flowers. While engaged in this pursuit I mostly don’t care about shape or physical form of the blossom. Rather I am focused on color and even more importantly on texture. 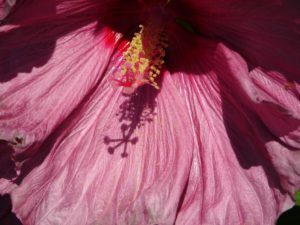 When I am lucky enough to be fully present; in the right mood, with the right flower at just the right moment magic occurs and pictures I love emerge. Three weeks ago, on September 25th, I was there on a very windy early fall day. After a couple of hours walking around taking pictures, I sat on a bench near a stone fountain resting and taking in both the sun and wind. At times a gust of wind blew mist from the fountain over me. Several events were going on so there were many families with children around. 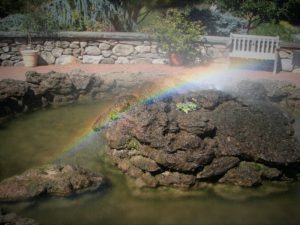 As some walked by the fountain the adults and children delighted in seeing a rainbow in the midst of the spray. Children were enthralled that they could see something up close that had previously always been far away. This form of beauty previously so distant was now within reach. A small piece of the magic of the Cosmos came to them in that instant. Children’s delight was pure and contagious. Parents were loving the chance to bring their children to this experience. 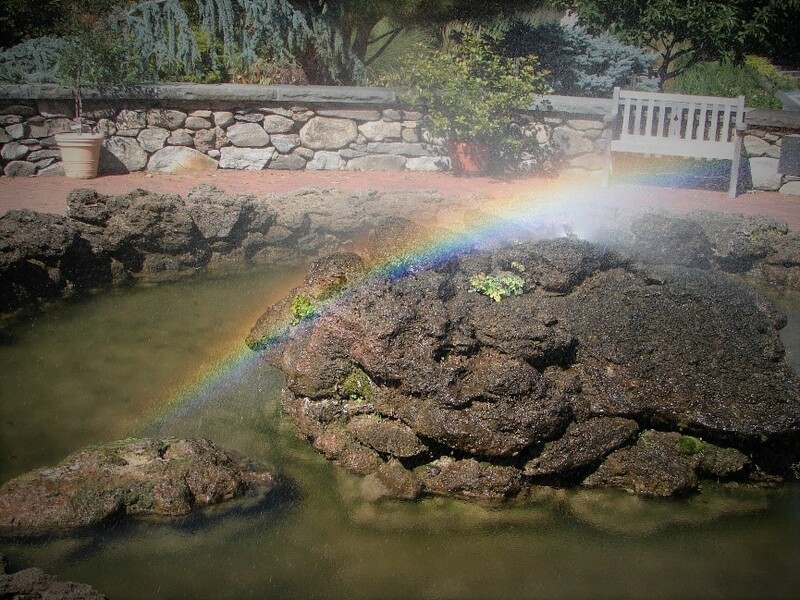 Kids often circled the fountain to find the best angle to see the rainbow. One father gave a very knowledgeable scientific explanation of how this could occur taking into account the angle of the sun, time of day and refraction of light through the drops of water. But mostly it was children being delighted. “Can I touch it?” The pleading children wanted to take the experience one step further. A few parents, a distinct minority, replied “YES.” More delight ensued. The rainbow was now shining on their jacket or hand. “Mom, I am the rainbow,” announced one budding mystic who appeared about five years old. Another child was clearly perplexed by finding that he could not grasp what he could so plainly see. He closed his hand around it and felt only water. Perhaps this was his first experience of the ethereal nature of reality. This was a sweet experience of watching parents and their children especially those who knew their children would neither rust nor melt if they got wet. And as I sat observing I came to see it was not just about enjoying parents empowering their children’s creative experience. It was not just about them but also about me and us. As the parent to my own inner child I can find ways to let it get wet with life. How can we all find ways to say YES when life comes along? Because if the angle is just right, and the sun is shining and refraction is doing its thing we might get lucky and become the rainbow. Love your “reflections” Graham. Tower Hill, a beautiful, inspiring place to let nature speak to us. Thank you. Thanks for commenting, Marilyn. 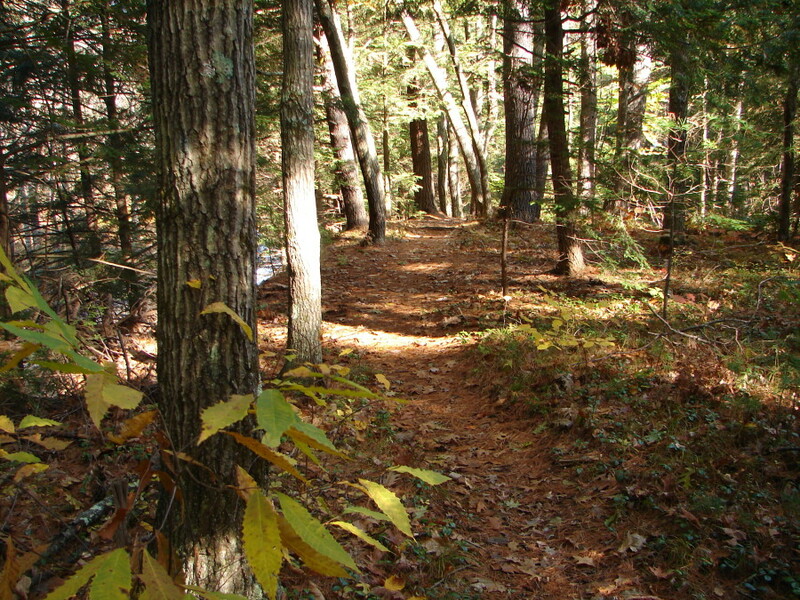 We are fortunate to have Tower Hill so close to us.